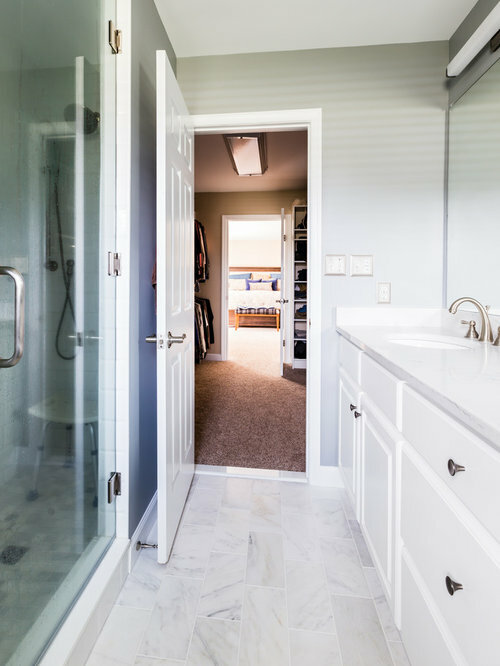 We call this project “Third Time’s a Charm” because this was our client's third attempt remodeling their master bathroom. The first time they hired a contractor to renovate their bathroom, and ended up with shower leaks. They then had someone fix/redo the shower, and to their dismay, it leaked again. The extent of the water damage was so bad that they had to complete gut the bathroom. Finally, after two failed attempts at getting a beautiful, structurally sound master bath, they called US! 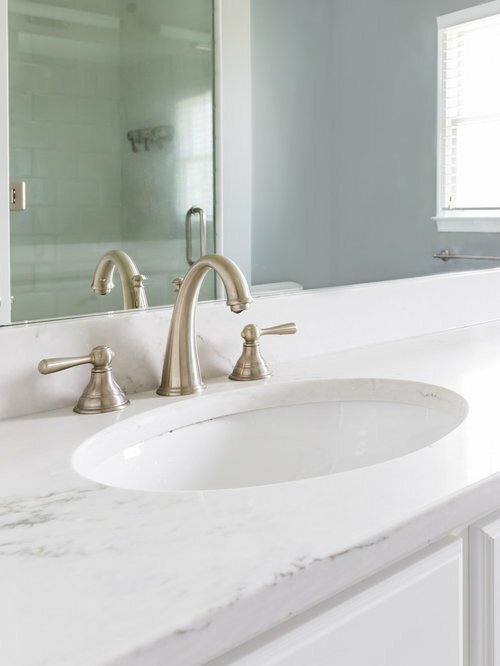 We installed new quartz countertops and carrera marble on the floor, as well as on the shower floor. 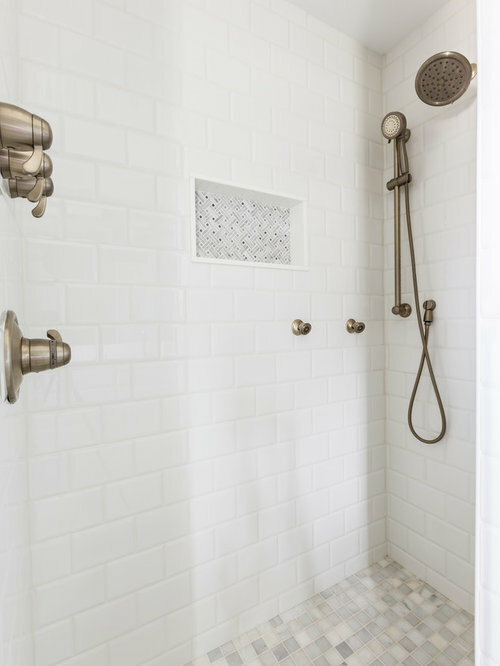 5x7 white tile line the shower walls, while white carrera in a basket weave pattern accent the shower niche. The vanity mirror and lighting were reinstalled in their original locations. Gray walls and white trim make this space look and feel fresh and modern. 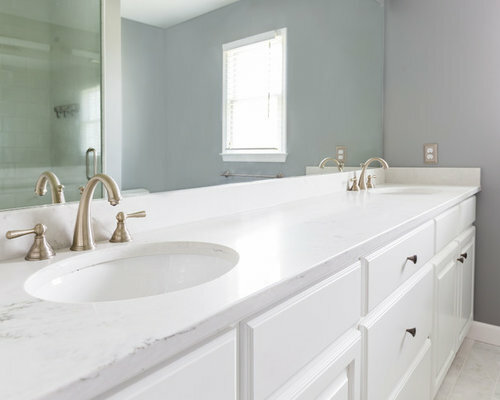 We installed new quartz countertop and carrera marble on the floor, as well as on the shower floor. 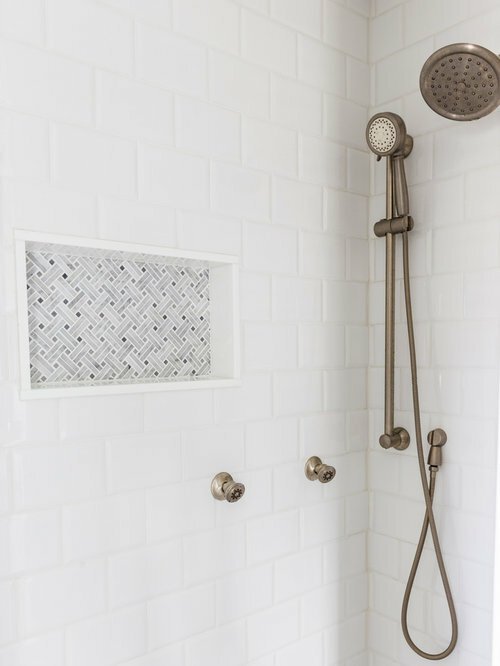 5x7 white tile line the shower walls, while white carrera in a basket weave pattern accent the shower niche. The vanity mirror and lighting were reinstalled in their original locations. 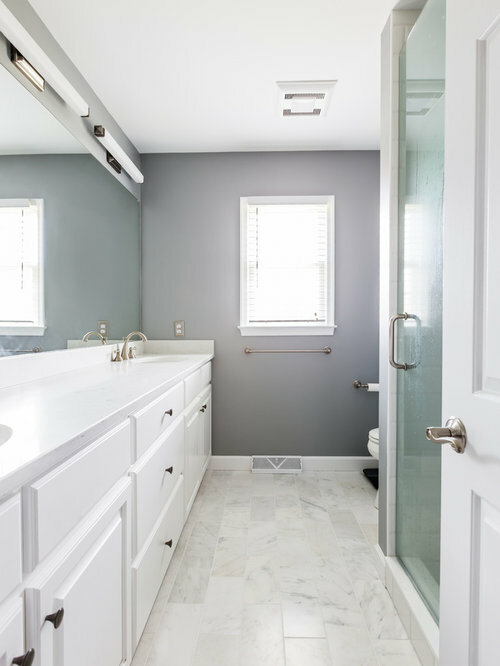 Gray walls and white trim make this space look and feel fresh and modern.